The national soccer teams of Mexico have a busy summer of 2011 ahead of them with participation in the FIFA Under-17 World Cup in June and July (as hosts), at the FIFA Under-20 World Cup shortly thereafter, at the CONCACAF Gold Cup in June and at the Copa America in July. 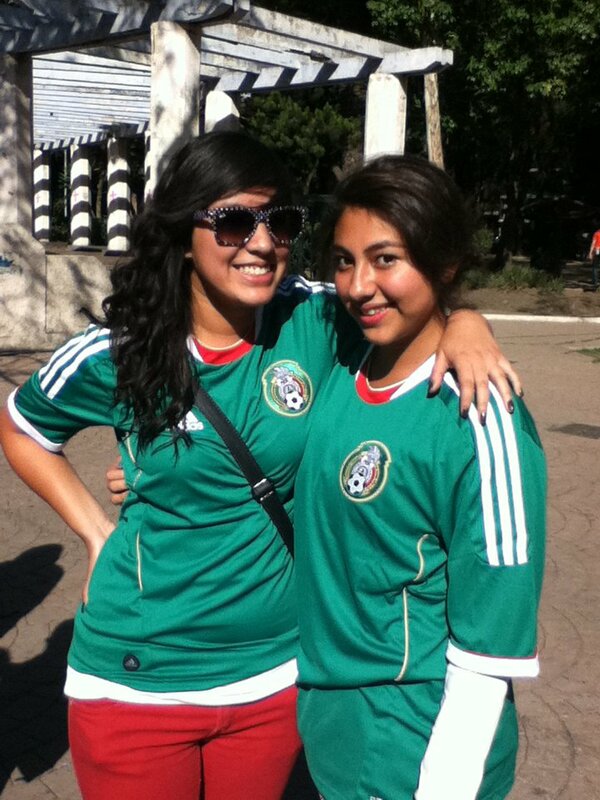 The Mexican women's soccer has qualified for the 2011 FIFA Women's World Cup in Germany and will represent CONCACAF along with the USA and Canada at the tournament in June and July. 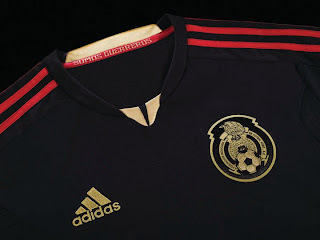 With all of this action looming, the La Federación Mexicana de Futbol (FMF) officially launched the Mexico adidas 2011/12 home and away jerseys (both now available at World Soccer Shop) last Friday in Mexico City. 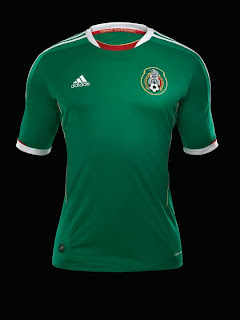 The new Mexico kits will be used for the first times when El Tri meets Paraguay in Oakland, CA on March 26th, 2011 and Venezuela in San Diego, CA on March 29th, 2011 in international friendly action. 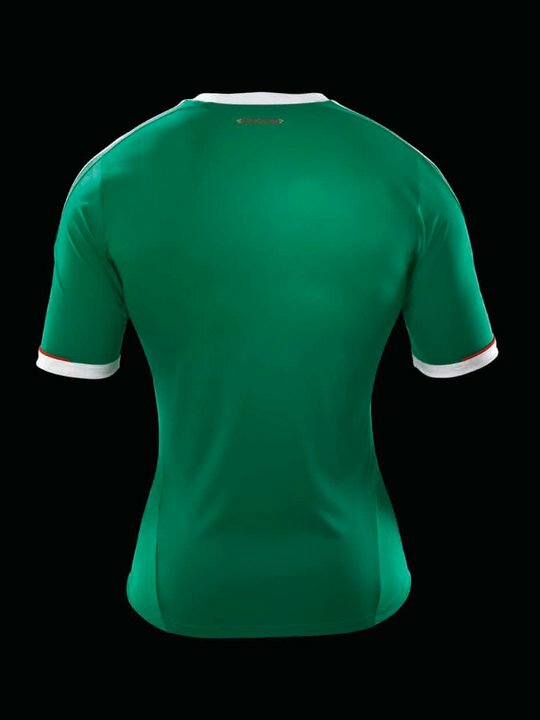 On hand to model the new El Tri uniforms were the Mexico Under-17 team (in the away kit) and the Mexico Under-20 team (in the new home kit). 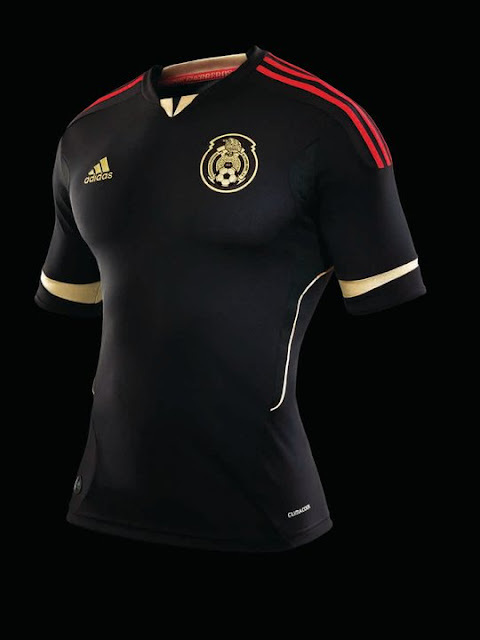 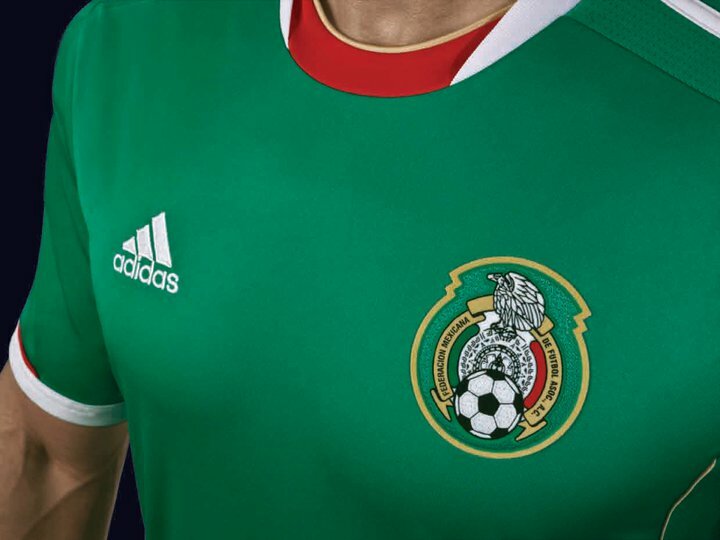 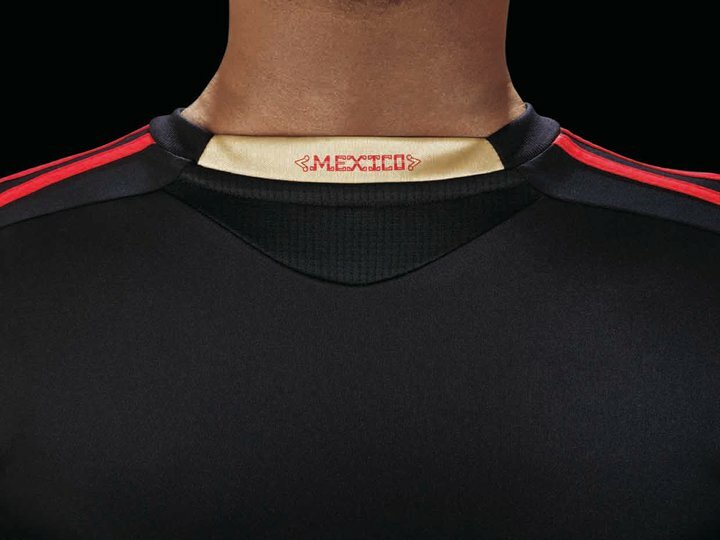 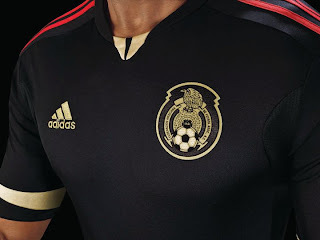 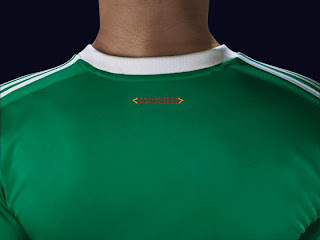 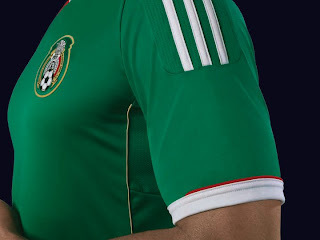 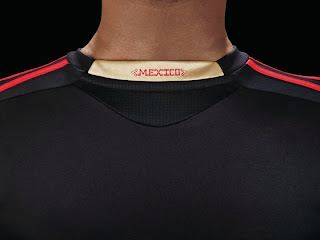 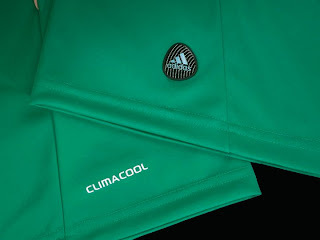 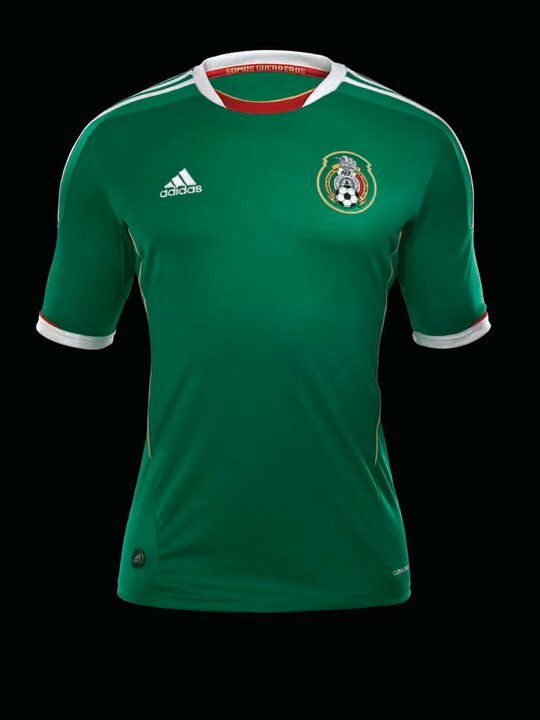 The Mexico adidas 2011/12 green home kit features a brand new adidas design that hasn't been used for any other of the firm's soccer jerseys thus far this year. 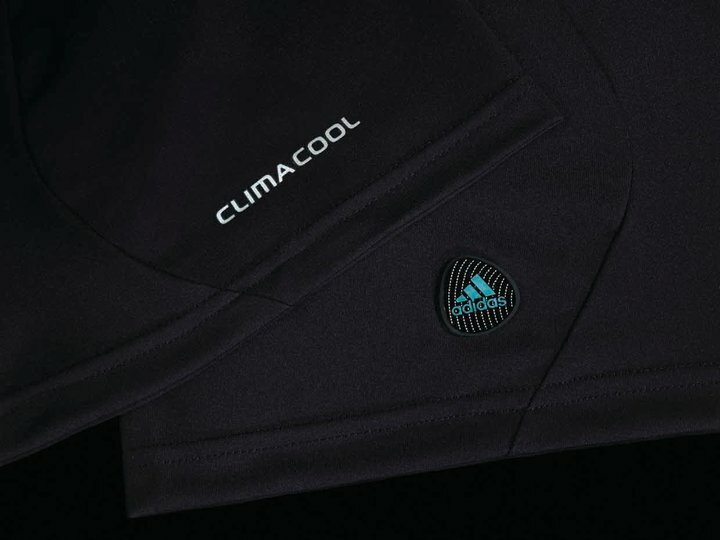 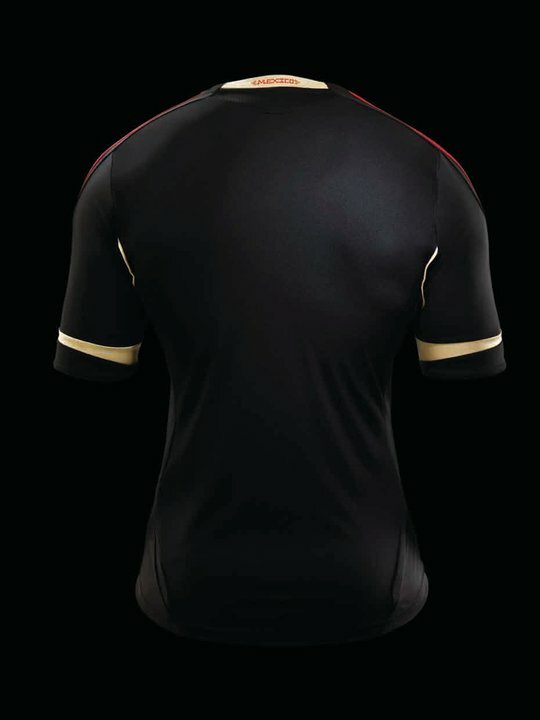 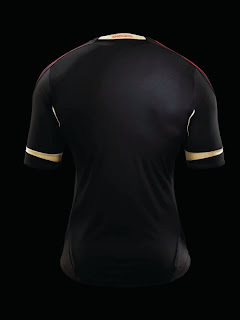 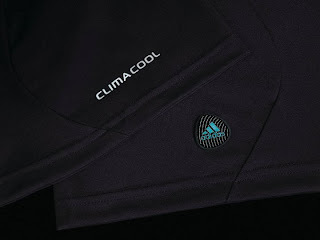 The black away shirt shares its design with the Seattle Sounders FC adidas 2011 home jersey.